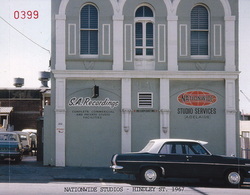 Located on Hindley street, it was the tracking booth of choice for many Adelaide bands of late 60's & 70's. 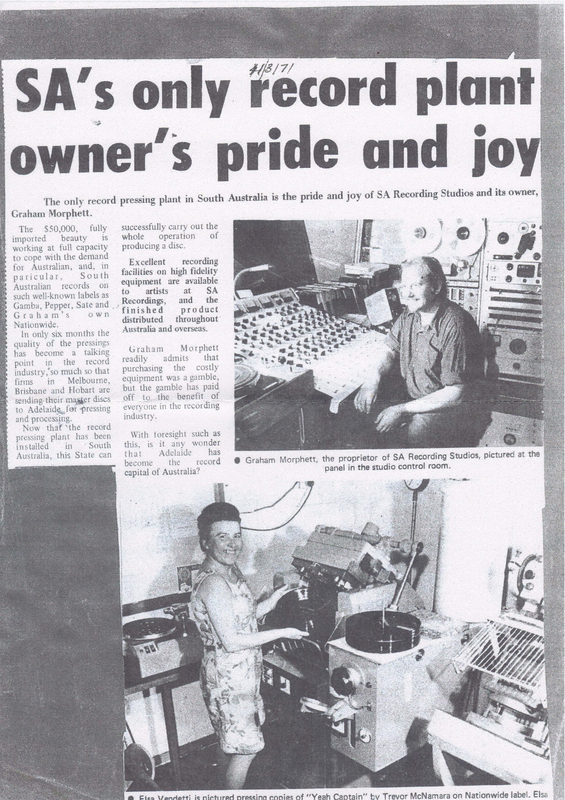 Not to mention that master discs were sent from Melbourne, Brisbane & Tasmania for pressing and production because of the quality of the records being achieved here! The studio stood next to where the Worldsend hotel currently stands, cost $50,000 back in the day (alot of money back then!) and was South Australia's only record producing facility at the time, although ironically helped to propel Adelaide into the record capital of Australia.